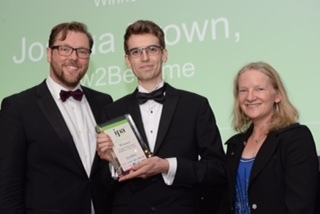 At the recent Independent Publishers Guild awards Joshua Brown, Operations Director of How2become, won the Independent Young Publisher of the Year Award, sponsored by Ruth Killick Publicity. We took a few minutes to ask Joshua about his interesting career path. 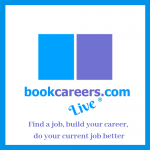 What did you want to do when you left school/university? After graduating from the University of Derby, my intentions were to become a computer games artist. It’s something I had always wanted to do – I loved both games and being creative with design/art. I set my path at school to focus on subjects that would better my chances at getting the right degree for me. 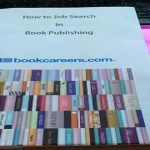 It never crossed my mind that I would get into the publishing industry! 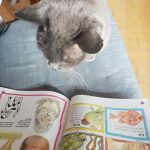 I was determined to become a game artist, freelancing for a while and volunteering on community art projects, but ultimately, I couldn’t find any long term work. What path has your career taken? In September 2013, I applied to How2Become for a part-time temporary role as a packer/admin assistant. At that time, it was just Richard McMunn (the Managing Director) working there day-to-day. I spent my time packing boxes of books and taking down customer orders. I was quickly drawn into the world of publishing and was fascinated by the online marketing work being done. Richard gave me the opportunity to begin writing my own book, How to Become a Game Designer. I jumped at the chance, and I had my book in print after a couple of months, writing it in the evenings after work. I got involved in every step of the process from designing the cover and seeing the typesetting process through, to publishing and marketing the book. From then on, I was hooked. Within the next year, I become the office manager, and by September 2014 I was made the operations manager. I continued to grow and develop along with the company and going into 2016 I became a company director. We now have eight employees (ten plus me and Richard). My current role proudly involves running the business day-to-day. My responsibilities include coming up with new book ideas for all of How2Become’s titles, seeing them through to print, creating business strategies, recruiting and training new members of staff, building business relationships, managing the company’s digital marketing and pretty much anything I can to keep the company growing! It’s all exciting, and I love it. What is the biggest challenge facing you or your publisher at the moment? My biggest challenge is time. I have plenty of ideas, and there is no shortage of things to do which is fantastic – it’s just getting them all done! As a company, one of our biggest challenges is ensuring that we stay on top of trends and changes in the digital space. I feel we are very good at providing marketing and products in a way our customers want to consume data. And the way in which customers want their data has changed. Now, an email or a Google ad isn’t enough. It’s about building up a relationship and trust with potential customers, before asking them to commit to buying. Implementing this model into the business has been tricky, but we’ve done it successfully. My guilty pleasure in books is the Horrible Histories series! I’ve always loved their silly light-hearted approach to history – I still find their jokes funny to this day. I love history and learning new things, and I’m still a big kid inside. It’s always harder putting one of these books down than it is to pick one up.